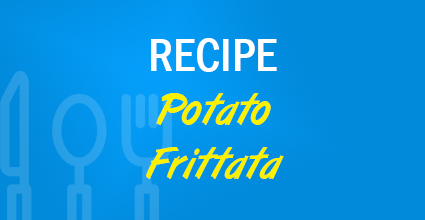 Frittatas are always a cheap, creative and simple way to feed the family on a budget. Since eggs are so inexpensive and you can put practically anything into a frittata, this idea is extremely versatile. The recipe above was priced at an average 87 cents per serving. Try a fajita-style frittata with steak, peppers and onions. You don’t need much of each ingredient to do this, so it’s always an affordable choice. 2. In a medium bowl whisk together the eggs, half the green onions, salt and pepper. Pour egg mixture over potatoes. Bake, uncovered, about 18 minutes or until frittata appears dry on top. Remove frittata from oven. Let stand on a wire rack for 5 minutes. 3. Meanwhile, for the topping, in a small bowl gently toss together remaining green onions, cherry tomatoes, garlic and parsley. Set aside. 4. With a spatula, loosen edges of frittata from skillet. Place a large serving platter over skillet. Using two hands, invert platter and skillet to release frittata onto platter. Cut frittata in wedges. Serve with green onion topper.